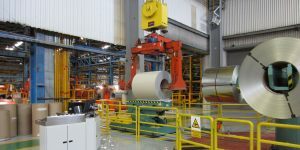 Coil cars are a key piece of equipment in any roll forming or coil processing line. 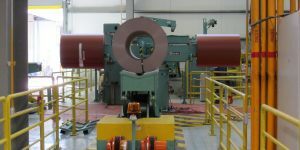 They allow for safe and efficient transfer of coils onto the un-coiler. 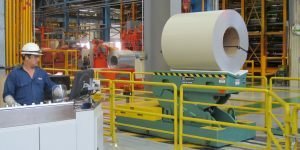 They allow for pre-staging of coils which reduces coil change downtime. Pendant or console control allows for a safe distance for the operator. 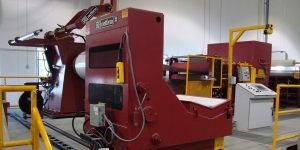 The coil car is also designed to protect your un-coiler from C-hook or coil damage. 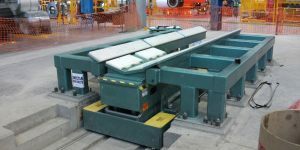 Metform also offers scissor lift cars to accommodate different coil loading configurations when loading turnstiles or un-coilers at different or changing elevations. Multiple models to choose from.